Save over sixty percent on the first season of the acclaimed TV series on Blu-ray today only at Amazon! 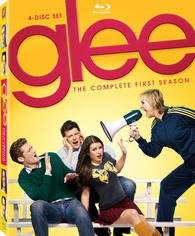 The online retailer has dropped the price of 'Glee: The Complete First Season' to $64.99 (64% off suggested list price). If you enjoy musical comedies, click here to cash-in on this gold box deal before it expires at midnight PST.